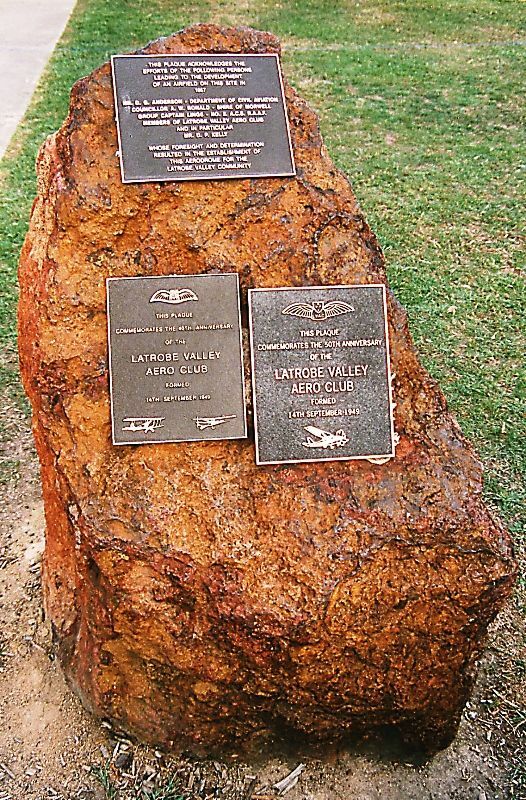 A plaque commemorates the people involved in the development of the Latrobe Valley Airport. Group Cap­tain Lings - No. 2 A.C.S. R.A.A.F.